CLIENT: Bayer SP. z o.o. 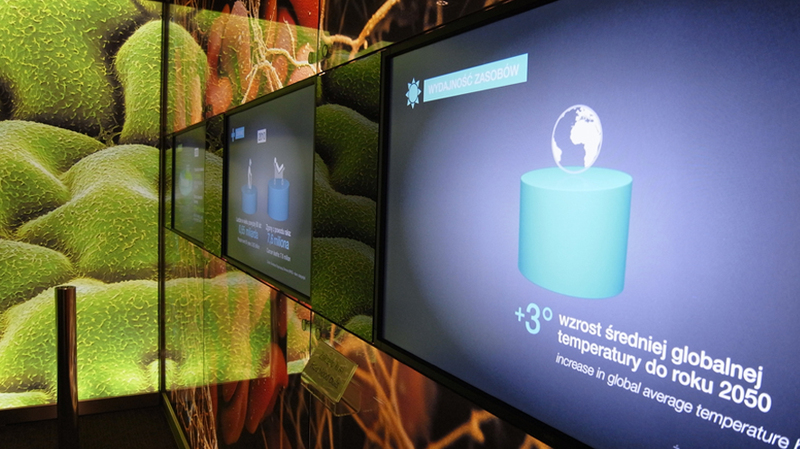 235 MEDIA designed and realised a two-area 3D Brand Space for Bayer’s company location in Warsaw. 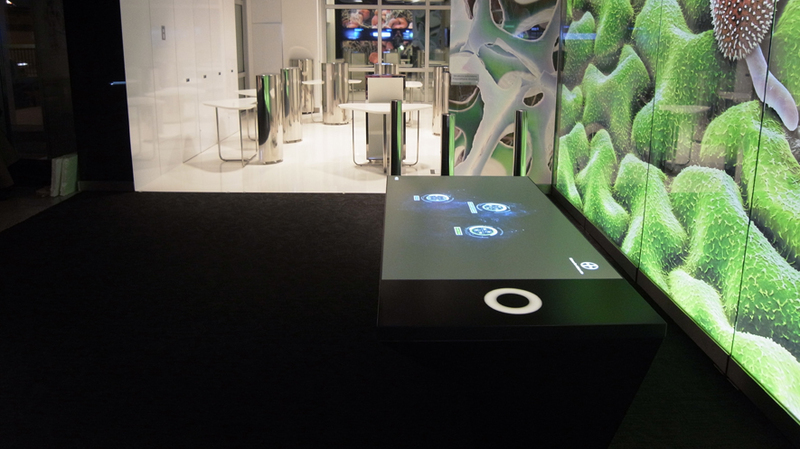 The entire media planning and installation process was handled by 235 MEDIA. 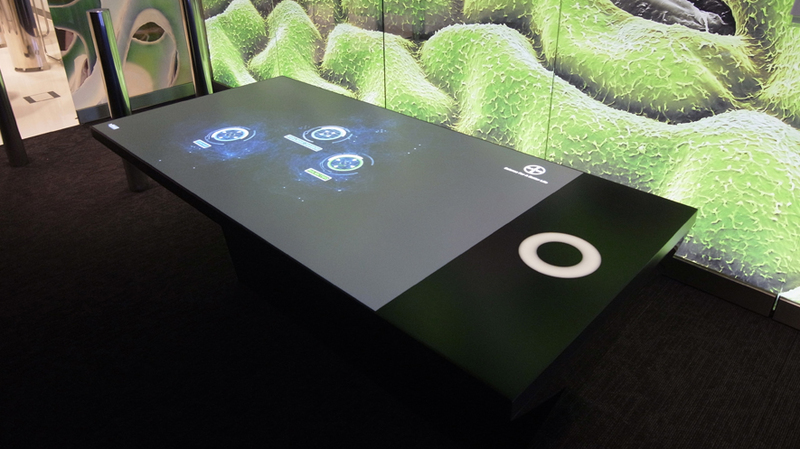 In the showroom area, backlit printed graphics fill the walls and lend the room an intensive background atmosphere that directs the visitor’s concentration to a large Interactive Table presenting products and innovations from all Bayer subgroups. 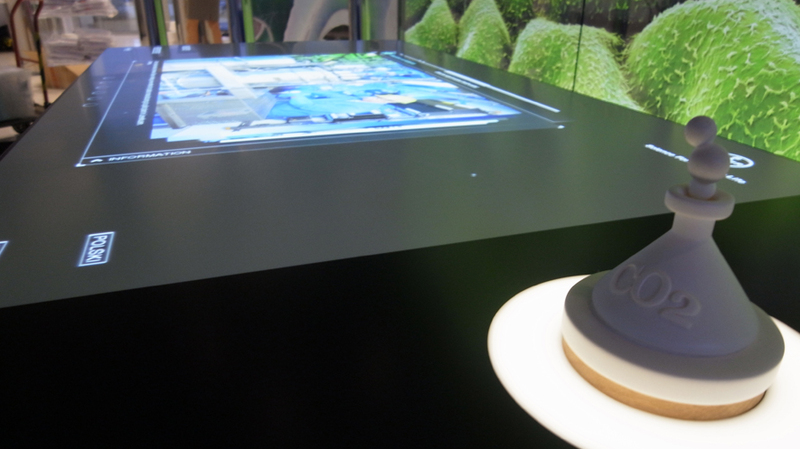 The Interactive Table is fitted with an RFID receiver unit for nine tokens, also developed by 235 MEDIA, that contain RFID transmitter chips. 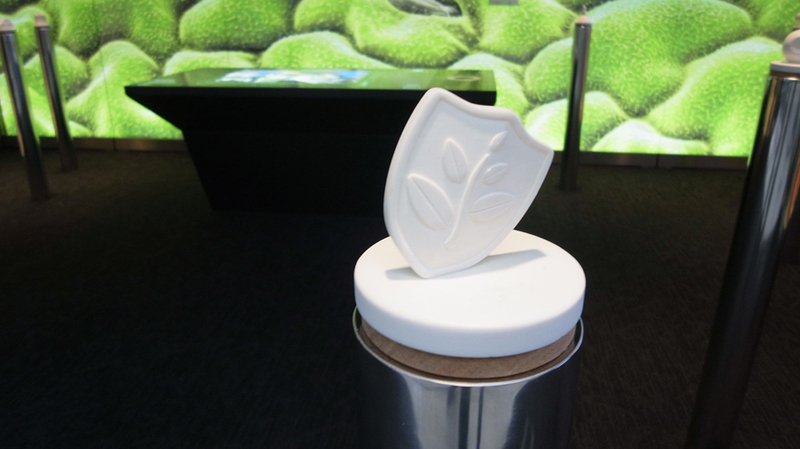 The tokens, which are distributed over stainless-steel pedestals around the Interactive Table, each represent a specific Bayer product and initiate an associated product story when placed on the specially provided area on the table. 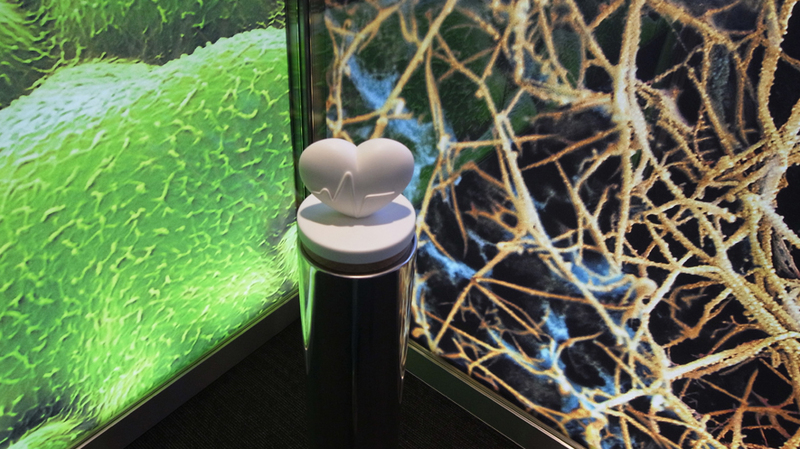 This haptic device is an additional attractive and often-used interactive feature that allows visitors to explore Bayer’s products and innovations. The application is based on the Interactive Cross-Linked Media Database developed by 235 MEDIA. This software system can be used with various presentation media (touch screen, Interactive Table, website, etc.) and allows location-specific adaptation and worldwide updating of complex content via a server system. 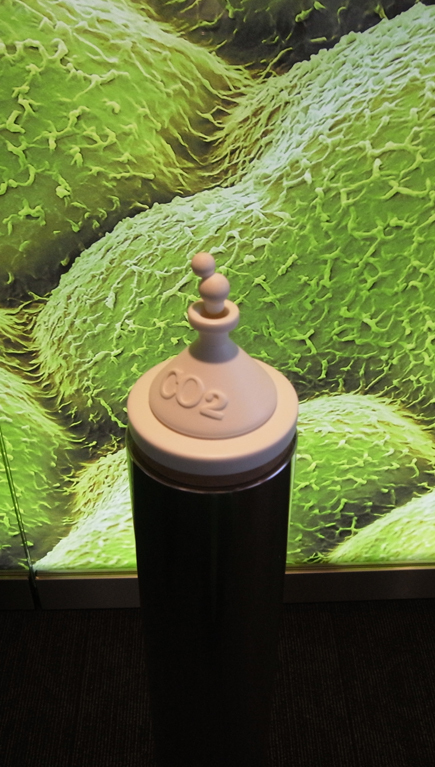 Developed for Bayer AG, the system is used across the globe and has already been implemented in the languages German, English, Chinese, Finnish, Polish, Russian and Spanish. The content’s editorial management and implementation is carried out at 235 MEDIA. 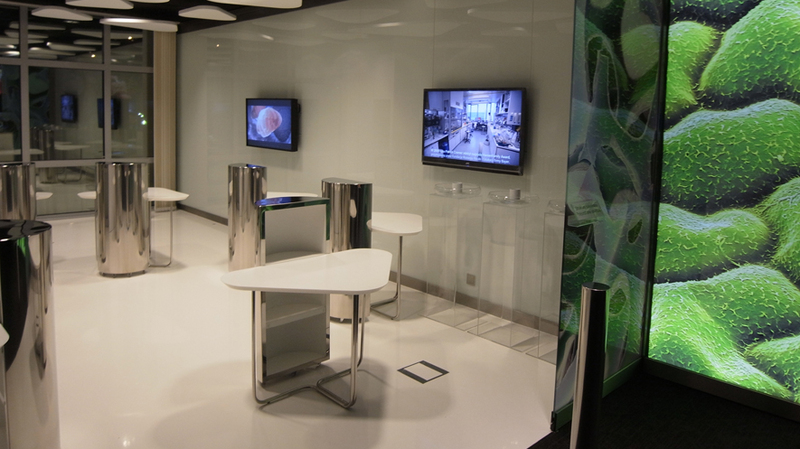 Three monitors built into a wall show “Challenge/Solution Videos” that illustrate Bayer’s commitment to the core competencies of health, agriculture and materials science within the context of global megatrends. 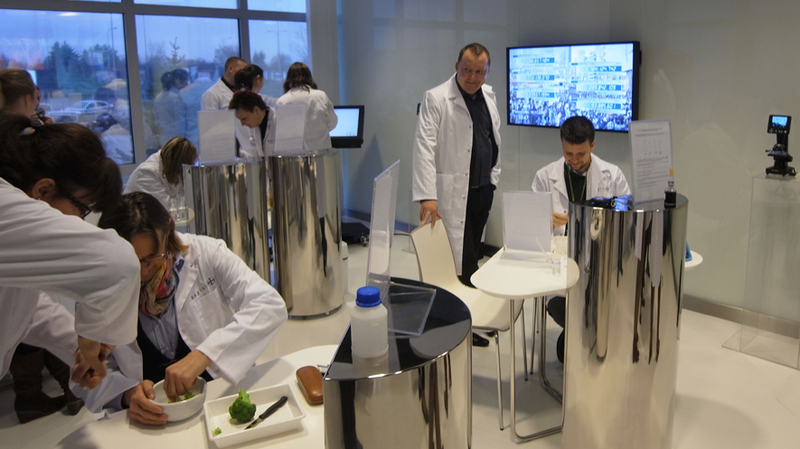 The second area of the 3D Brand Space, which can be separated from the showroom area by a sliding glass wall, is referred to as a laboratory and acts as a versatile multi-functional room for group visits, talks and similar events. The room is equipped with two touch-screen monitors, radio microphones and ceiling loudspeakers, as well as mobile tables and seating. 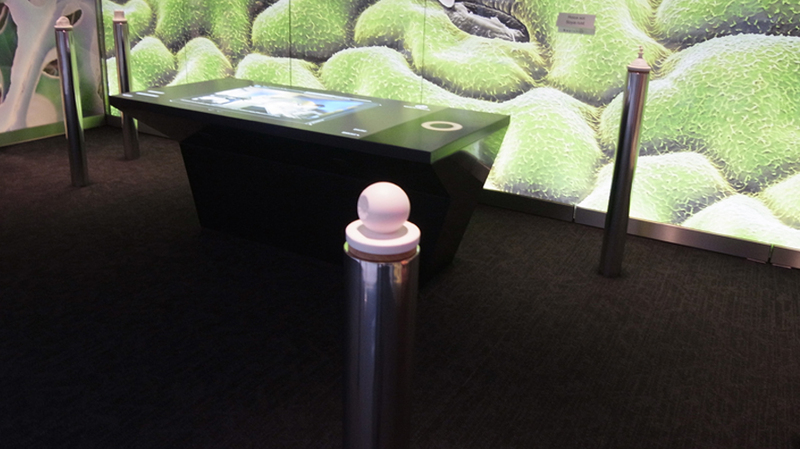 235 MEDIA installed a management unit in an alcove, allowing all monitor content and audio functions to be controlled and combined via a touch screen and intuitive user menu. Thanks to an integrated matrix, additional information such as films, animations, applications or external signals from a laptop can be displayed on any monitor.